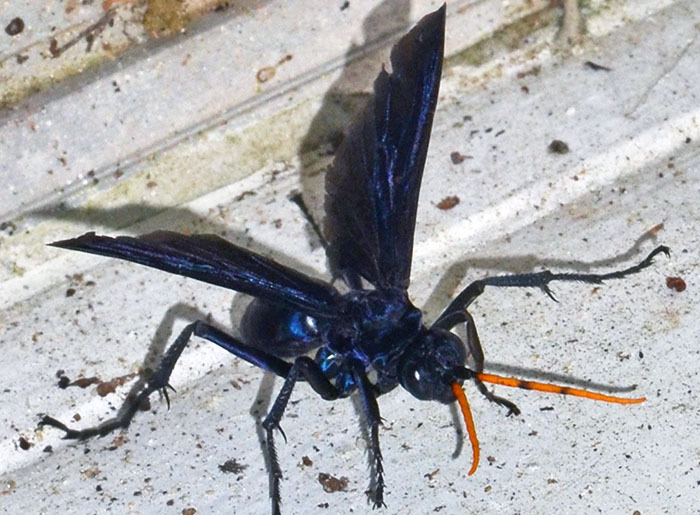 Pepsis menechma (Elegant Tarantula Hawk) ♀. Size: approx. 25 mm. Photo: 08/22/18, 6 pm. 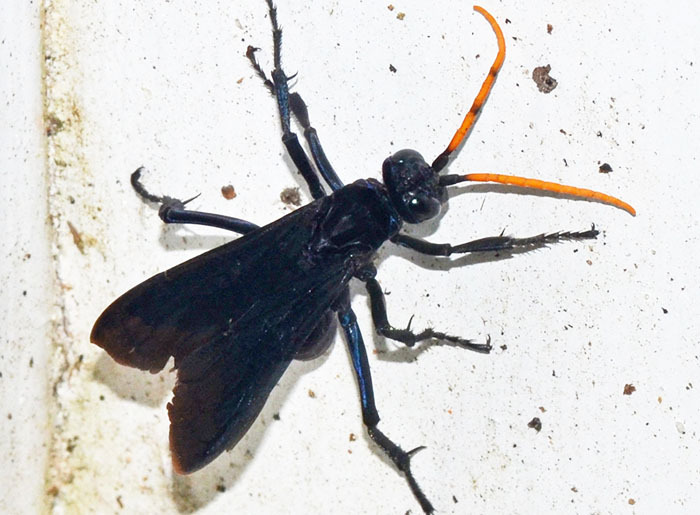 Elegant Tarantula Hawks are widespread in the eastern half of the US and hence typically do not prey on tarantulas but females rather paralyze trapdoor spiders for provisioning their nests. Adults take nectar. 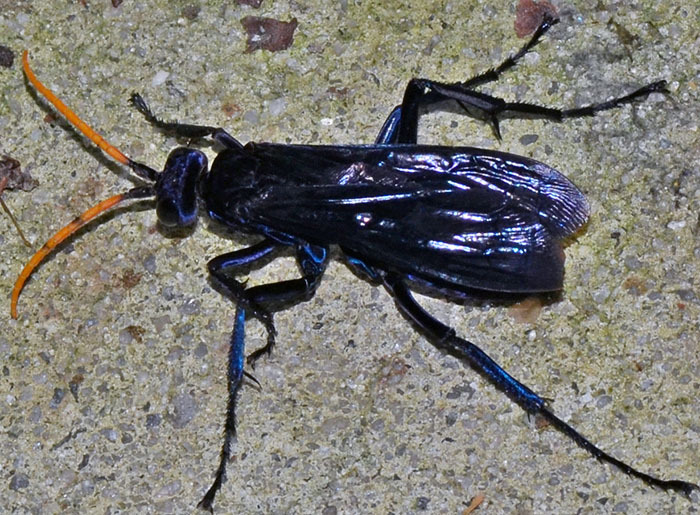 The large wasp is black with metallic bluish tint and orange antennae. Although rather docile, tarantula hawks in general have among the most painful stings on the planet.